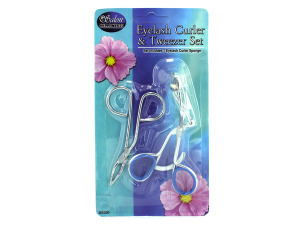 An essential beauty set, this Eyelash Curler & Tweezers Set features a curlers to help eyelashes reach maximum extension and shape and tweezers to help design and keep eyebrows clean. Set also comes with an extra curler sponge. 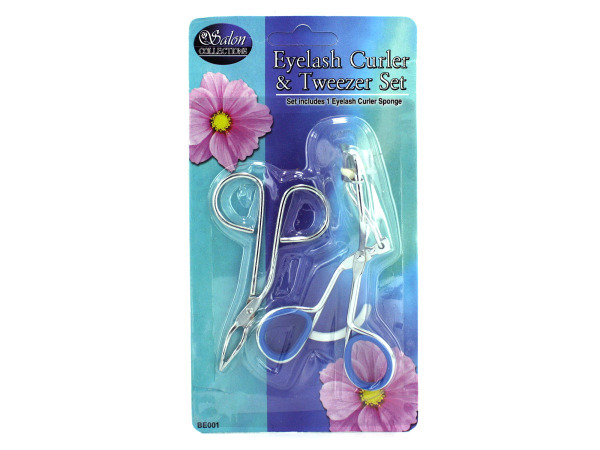 Curlers measure approximately 3 3/4" long with a 1/4" opening. Tweezers measure approximately 3" long. Comes in assorted colors. Comes packaged in a blister pack.